Jan Dilenschneider, of Darien, will exhibit her artwork at Galerie Pierre-Alain Challier, in Paris' historic Le Marais district, beginning July 8 and running through Aug. 2. This is Dilenschneider's second show in Paris. This year's exhibition is titled "It is a Beautiful World: What Are We Doing to Protect It?" She was invited back after sales from her first show were significant, according to a news release from the artist. 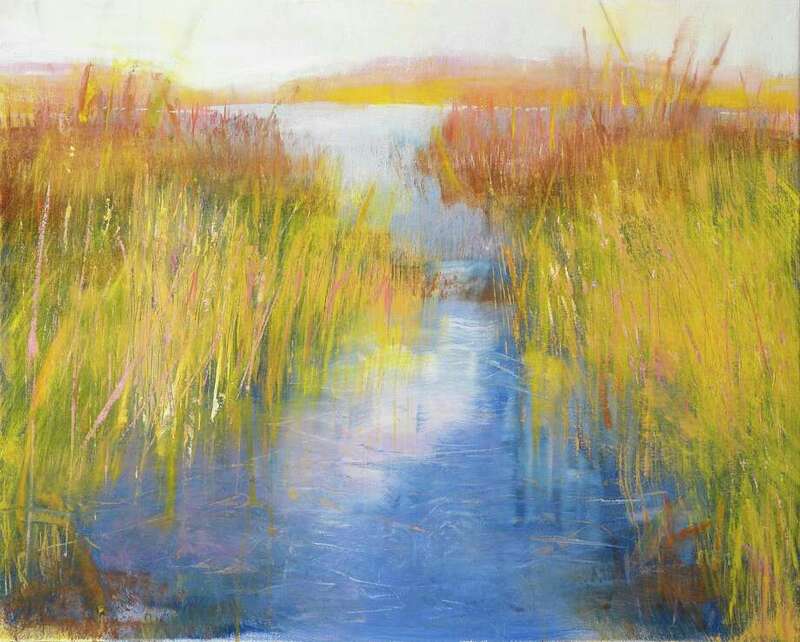 "I am greatly influenced by living on Long Island Sound and many of my paintings come from scenes within a mile from my home, such as the Goodwives River and Pear Tree Point Beach," she said. "I am also aware that the beauty of our area will be threatened if we don't all do more to save the environment." She also believes that artists have the right, and perhaps even the obligation, to make a social/political statement about the world in which they live. With her husband, Bob, who owns the communications company The Dilenschneider Group, she recently launched The Janet Hennessey Dilenschneider Scholar Rescue Award in the Arts to rescue 10 artists in countries where there is revolution or political unrest leading to the suppression of artistic freedom. The artists will be provided with safe passage to a university where they can work and teach without fear of reprisals. "This new program had a dramatic effect on my art," she said. Dilenschneider said she wanted to highlight through her work the ecological damage being done to the planet. "If words could say everything, there would be no need for painters. Painting captures the imagination. It is my way of sharing emotions without words," Dilenschneider said. She said she hopes her paintings will raise awareness in Fairfield County, and specifically in Darien and along Long Island Sound that the environment that makes the area unique must be protected. "My work is all about expression -- expression played out in color and gesture. That is, two colors next to each other have a special relationship as well as a unique way of tantalizing the eye. The gesture is the freshness of the stroke. It gives direction and balance. It provides the emotional content," she said. Dilenschneider paints at the Silvermine Arts Center in New Canaan. She received her training at Ohio State University, the National Academy of Design in New York and the North Shore Art League in Illinois. She is also a patron of the arts. Her donations to Ohio State University made possible the renovation of Hopkins Hall, where a plaque now hangs in her honor.